Ballantine Books, 2014. 224 pages. Nonfiction. When Kelly Corrigan graduated from college, she decided it was time for her to find herself through an around-the-world adventure. But things don't work out quite as she planned: she finds herself in Australia, out of money, and working as a temporary nanny for two children who have just lost their mother to cancer. As she struggles to adapt to caring for these children, she suddenly finds herself remembering (and appreciating) all her mother did for her. "Your father's the glitter but I'm the glue," she remembers her mom telling her regularly. In an instant, Kelly has to discover how to become the glue in these children's lives. 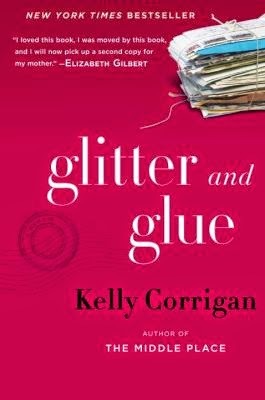 This was a beautifully written book telling two stories: Corrigan's experiences taking care of two heartbroken children and her remembrances of her mother and appreciation for all her mother gave her, even (or especially) when they butted heads. The blending of the two tales is not always seamless, but is well-enough done to give the reader time to pause and remember their own mother. The book has some strong profanity a few times, but no other strong content.